We are all so different... From different countries, social strata, with different cultural and educational perceptions of our life, and this world as a whole. But there is something that is so important that it makes us forget about all this, and the name is Love. 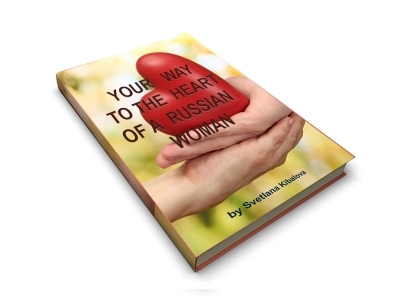 We all want to be happy, whoever we are and wherever we live, we all dream to meet, find your soul mate in this vast world ... To help lovers of different nationalities, I represent my two books written in English, they are for all those men who dream of finding their love in Russia ... I hope that in my books you will find answers to many questions about the Russian chosen one of your heart. I also work in the genre of adventure detective and I’d like to present to you, dear lovers of adventurers and an intricate intrigue in the relationship of the characters, my other books, the events in which unfold mostly in Ireland ..